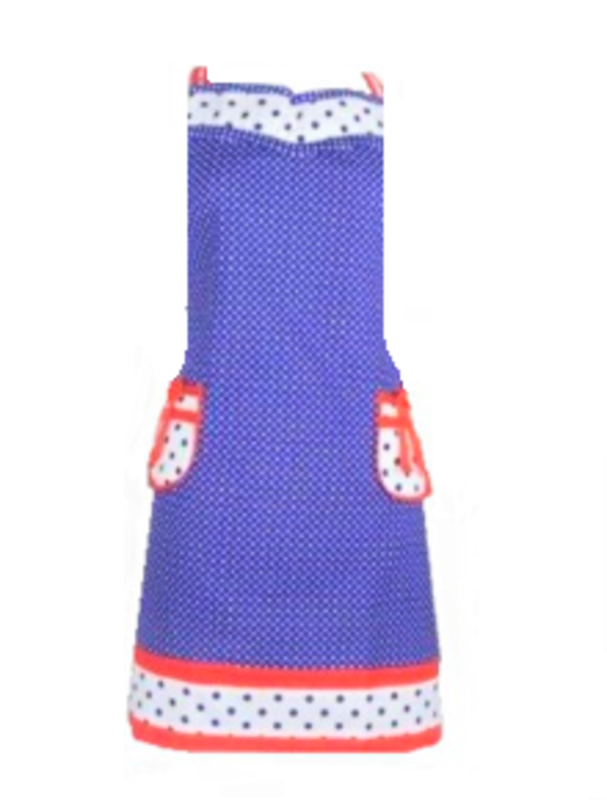 1 x Women's Apron (Accessories and Kid's Apron are not included). 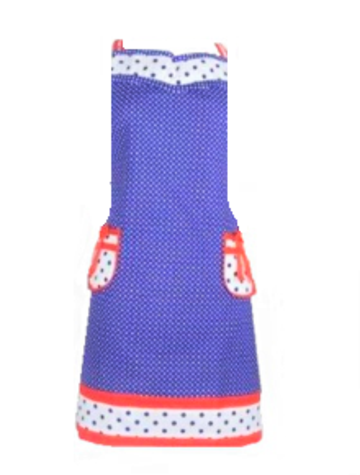 Our Suzy range includes this retro Women's Apron which has been designed with a love for Navy Polka Dots and Bright Red. This Apron features double trimming on the sweetheart neckline, 2 pockets with 2 cute bows and a double trimmed hemline. The apron ties at the neck and waist. A matching Girl's Apron is available in this range too. This apron design and material pattern has been hand drawn and is exclusive to Sierra Rose Designer Homewares.